At University of California-Davis (UC Davis), there are various library resources and library spaces to help you cram for those finals. Read on for all the resources and library spots to hit up when you’re studying for exams or working on assignments. UC-Davis has library staff that will help you with your research endeavors. You can get help with assignments, papers, and other projects. Get started at the library information desk! Library staff can also help you with research data and navigate the library system. In order to get more specific help regarding research or a specific course you are taking, you can contact a subject librarian, specialized in a field of areas. You may find the information regarding subject librarians through your department as well. Using digital resources at the library, you can design and implement digital research exhibits. At UCD, you will be able to create digital research using modern media , develop visualizations for your projects and receive instructional support. At UCD, there are resources to help you manage data for papers and projects that you are working on. This program will help you enhance you data outcomes and bring it to life. If you are studying social sciences like psychology or sociology, the UCD library offers a variety of help for students and faculty. Through the library, you can receive help looking at your data as well as access to specific journals and databases that will enrich your research. At the UCD reserves, you will find books and course guides as well as recommended reading materials that your professors assigned. You will not be able to borrow materials for an extended period of time, but can use them to study in the study rooms at the library before returning them. Being a student at UCD gives you access to special academic articles, newspapers, literature as well as images and media outlets. You can access these databases online by using your login info or in person at the library. This library open from 7:30 am to 12:00 am.You will find books and materials related to Arts, Humanities, Social Sciences, Agriculture, Computer Sciences, Mathematics and Statistics. You can also find seating and silent rooms to study. The physical sciences library opens from: 8:00 am – 10:00 pm. At the physical sciences library you will find thousands of volumes on physics and chemistry. There are also manuscripts and journals on Engineering, Geology, Atmospheric Science, Physics, Astronomy & Astrophysics . 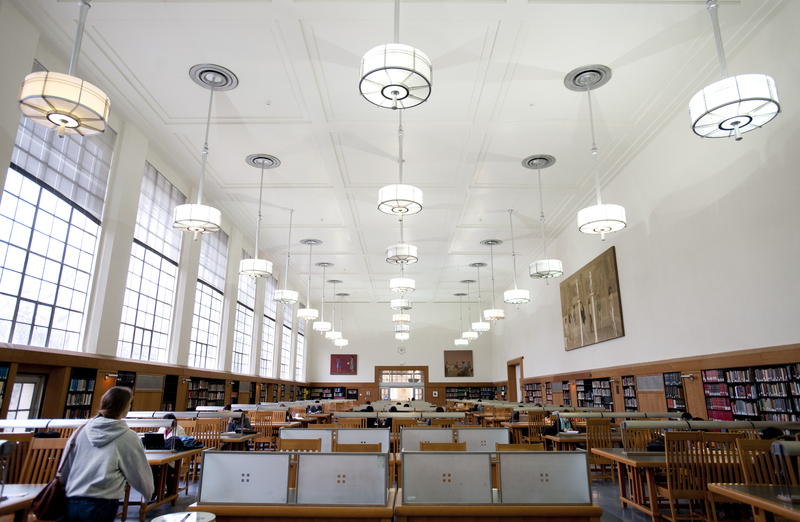 The engineering library has many quiet rooms where you can study individually and in groups . The Carlson Library open from8:00 am – 10:00 . Go to the Carlson if you need resources pertaining to your premed courses. You can cram for your finals there under the vibes of the anatomy books . The Blaisdell library opens from 7:00 am – 7:00 pm. It is the library with th main resources for medical students. Once you are there you might smell the stress pheromones, cortisol as well as caffeine from 10 miles away. This space has rooms for you to study as well as thousands of clinical resources if you are a biology major or if you are premed. The Mabie library is primarily for law students. It contains sheer volumes of law manuscripts, journals, court cases and spaces where you can bring your peers and study. UC Davis offers a plethora of resources for students, faculty and staff. Be sure to use the library resources to succeed in your coursework and research.